Today we traveled to the Hollywood Farmers’ Market to watch Caroline Oakley and Pete Leone perform old time and bluegrass music. Caroline was one of Henrik’s Music Together teachers. 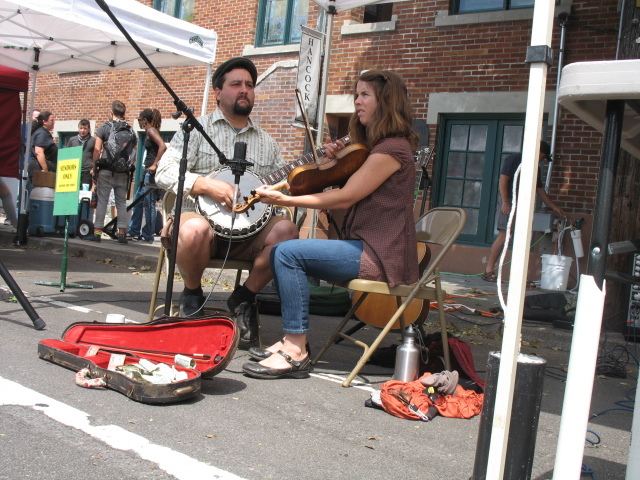 Caroline and Pete traded between a banjo, guitar and fiddle and created some great music. We all enjoyed the show. 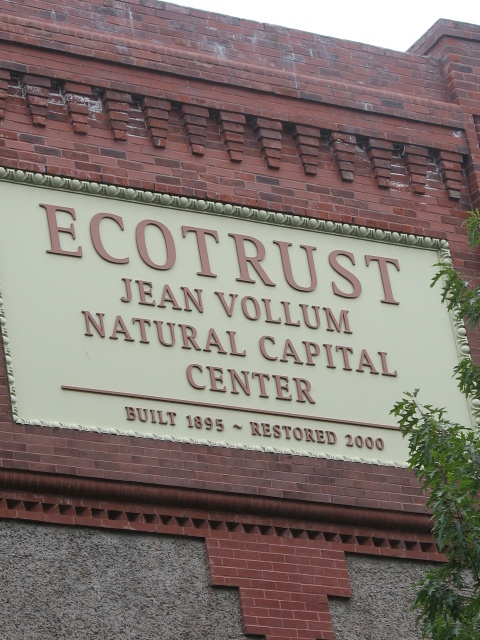 I then got dropped off in the Pearl District at the Natural Capital Center, which is a hub of green businesses and environmental groups in Portland. I attended the “Creating an Eco Healthy Home and Family” workshop, which was hosted by Congressman David Wu (D-OR). He structured with workshop so that we visited different rooms of the house, including the kitchen, bathroom, nursery, living/play room and the yard and garden. We had the opportunity to learn about the different toxins typically present in each area and how make healthier choices to avoid those toxins. I spoke with Erin McNally from Josiah Hill III Clinic about decreasing lead exposure in children. The clinic offers education and mobile blood lead testing at various events throughout Portland. I discussed sunscreen choices, chemical vs. mineral and the nanoparticle issue, with Lisa Frack from Environmental Working Group. I also met Michelle Bexelius and Elizabeth Reed from Eco Remedi. Their focus for this event was on how to decrease toxins in the kitchen, but they were both very knowledgeable about avoiding toxins throughout the home. They offer consultations, either in person or via phone/email, if you are overwhelmed by all of the info out there about avoiding the numerous toxins in our world and need some help getting started with making some positive changes. The information was a nice refresher for me now that I am diving back into the world of Environmental Education. More importantly, I was able to connect with people working here in Portland to make our world cleaner and safer. As a newcomer to Portland, I appreciated the opportunity to participate in the event. This entry was posted in Enjoy, Environment, Environmental Health, Family, Learn, Music, Toxins. Bookmark the permalink.